Oil fell and gasoline tumbled more than 20 cents a gallon after an Energy Department report showed that U.S. crude supplies rose to the highest level in two years. Crude futures dropped as much as 3.4 percent after the department said stockpiles jumped 3.78 million barrels to 370.3 million last week. Gasoline inventories increased 1.28 million barrels to 205.8 million, the first gain in 12 weeks. Total fuel demand slipped 0.9 percent to 18.2 million barrels a day, the lowest level since June 2009. Crude oil for June delivery fell $2.54, or 2.4 percent, to $101.34 a barrel at 11:30 a.m. on the New York Mercantile Exchange. The contract slipped as much as $3.56 to $100.32. Oil traded at $101.69 a barrel before the release of the inventory report at 10:30 a.m. in Washington. 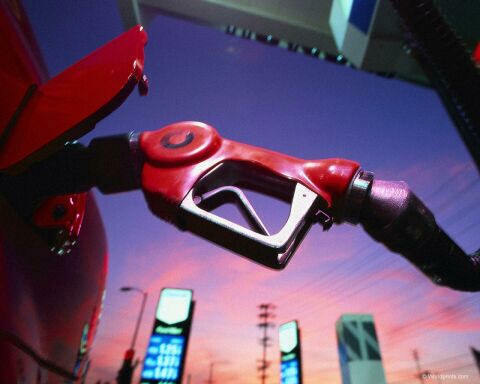 Gasoline for June delivery dropped 20.47 cents, or 6.1 percent, to $3.175 a gallon in New York. Regular gasoline at the pump, averaged nationwide, rose 1.1 cents to $3.962 a gallon yesterday, the first increase in six days, AAA said on its website. The price climbed to $3.985 on May 4, the highest since July 24, 2008. The Standard & Poor’s GSCI Index of 24 raw materials fell 11 percent last week, the most since 2008, as slower growth in U.S. services and fewer German manufacturing orders stoked concern the economic recovery is faltering. Crude oil supplies were forecast to advance 1.5 million barrels, according to the median of 16 analyst estimates in a Bloomberg News survey. Gasoline stockpiles were projected to fall 750,000 barrels. Gasoline consumption dropped 1.3 percent to 8.83 million a day last week, the lowest level since the seven days ended February 11, the report showed. U.S. gasoline consumption peaks between the Memorial Day holiday in late May and Labor Day in early September, when Americans traditionally take vacations. The dollar rose 0.9 percent against the euro to $1.4282 after increasing to $1.4276 earlier today. Prices also declined on concern that China will further tighten monetary policy to cool price increases, reducing economic growth in the world’s biggest energy consuming country. China’s consumer prices climbed 5.3 percent in April from a year earlier, according to the statistics bureau in Beijing. That’s higher than the government’s 4 percent full-year target and above the 5.2 percent median forecast in a Bloomberg News survey of economists. The country’s central bank will increase interest rates once more this year, adding to four since mid-October, another Bloomberg News survey showed. Officials have boosted banks’ reserve requirements and reined in credit growth from record levels in 2009 and 2010. Futures dropped as the dollar climbed against the euro, reducing the appeal of commodities to investors. The euro slipped against the U.S. currency on speculation European leaders are slowing the drive to grant Greece additional aid, bolstering concern the nation will have to restructure its debt.